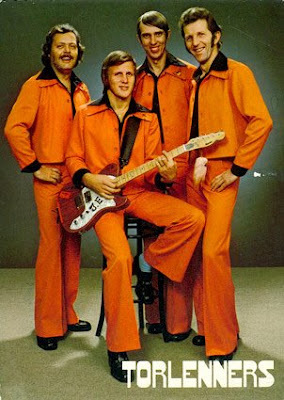 When I become a Swedish rock star I plan to get an orange suit. Actually, I plan for EVERYONE to have an orange suit. It's either that or I end up naked, playing a guitar, with a flying cat. But we might require a different universe for that. Michael Nesmith was always my favorite Monkee. I feel that the NSFW part of this blog has been overtaken by cats and puppies. I need to do something to rectify that. I wish Blogger would let you format pictures with captions, but apparently that's all but impossible without some sort of CSS or PHP or LSD or something. alternate side of the street parking has been un-suspended. The drugs have almost kicked in.